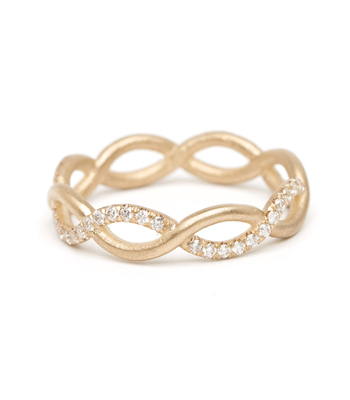 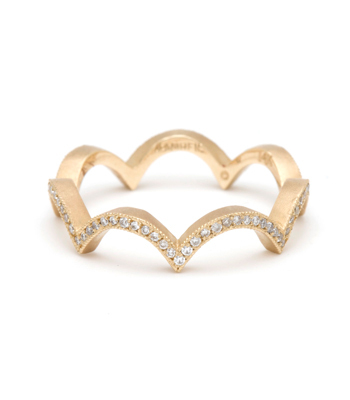 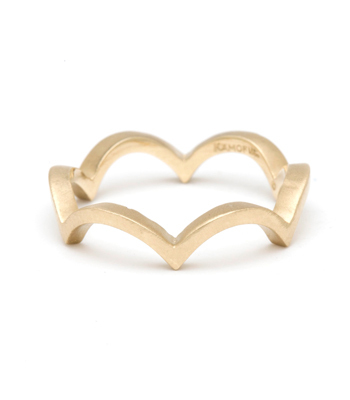 The perfect symbol of love everlasting- this 14K gold infinity ring mixes modern clean edges with a lyrical design. 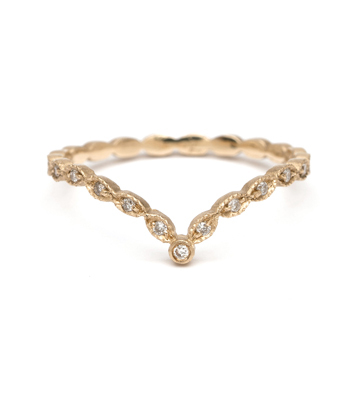 A single row of pavé diamonds (0.19 ctw) laces around the band and contrasts beautifully with the simplicity of its solid gold lace counterpart. 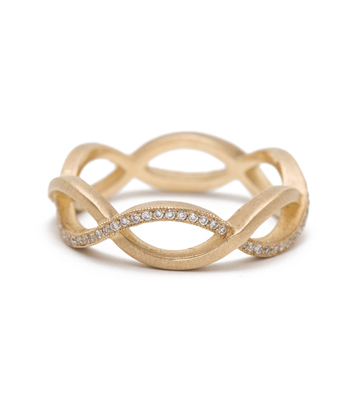 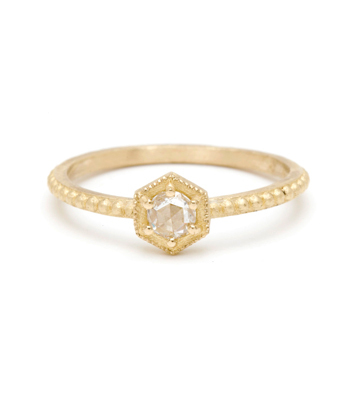 Simple and beautiful by itself, and especially remarkable when paired with our small cloud ring. 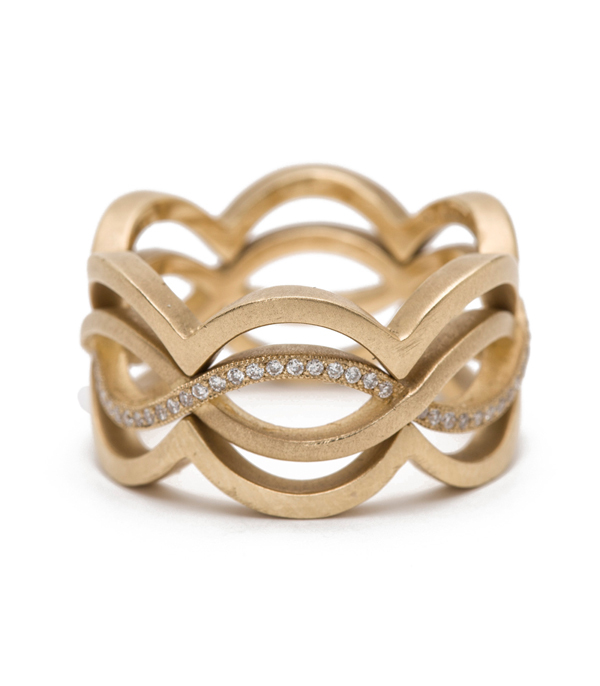 Categories: Aria, Eternity Bands, Rings, Stacking Bands, Stacking Rings, Timeless Glamour, Women's Wedding Bands.